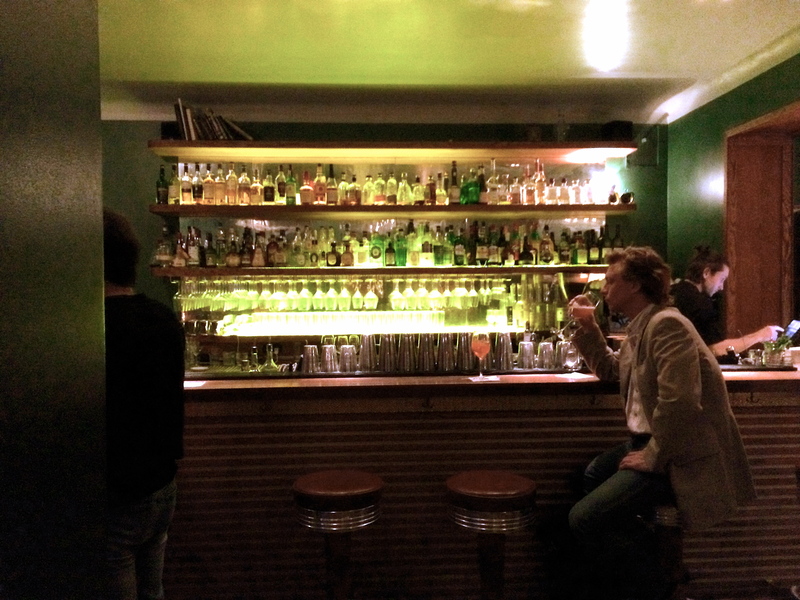 I joined Meetup when I got to Berlin. It’s an online network with thousands of small communities of people meeting up to share various interests. 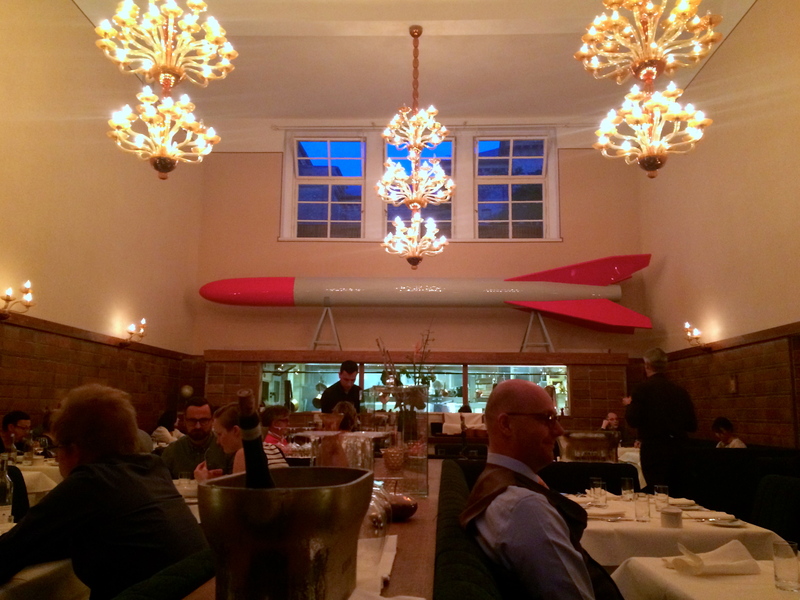 My first meet up was the BBQ on May Day and I’ve since attended wine tastings and this dinner at Pauly Saal. I think I’d have limited usefulness for Meetup in the states given my transient lifestyle but I think it’s a brilliant way for travelers and expats in foreign countries to get below the tourist track of a city. People with like interests can meet up to do interesting things and the most difficult part – for me – is gearing up to meet and talk to strangers. But it’s always worth the effort. The best – BEST – part of last evening was the company, which encompassed Julia and Fritz, two Germans who are from other parts of the country but now live in Berlin, Margarita a Colombian who works for her embassy, Paraskevi a Greek lady who works for her embassy, Amy an exotic Egyptian interior designer who also organized the dinner and me, an American traveler. A fascinating mix of people. My favorite thing about international groups is the range of experience and perception, especially when we all have Berlin in common. I always learn some fascinating new information about different countries and I almost always come away from the event thinking differently about politics or food or travel or expat life. This was a particularly fun evening since the group is based around fine dining and a love of food so a lot of our conversation revolved around food while eating food. I only wish that our Pauly Saal experience had equaled the fine company. 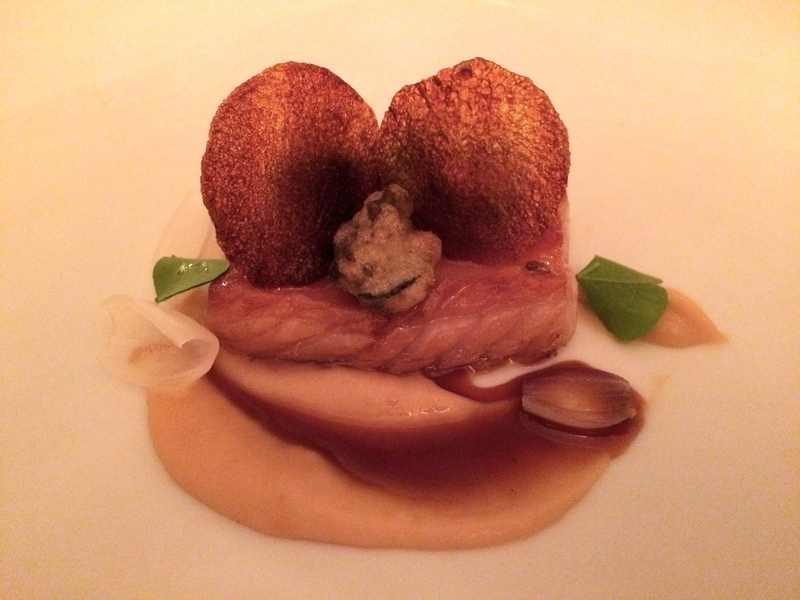 Pauly Saal is a fine dining restaurant with a Michelin Star housed in a building that was formerly a school for Jewish Girls. After closing in WW2 when there were no more Jewish girls in town, the building became a military hospital and then another school and then was returned back to the Jewish community who have renovated it into a beautiful space with museums, art galleries cafes and Pauly Saal. Yes, I think that’s an odd choice. But those curiosities aside, the rest of the Pauly Saal space is great, dark green walls and dark wood furniture with huge windows. Really beautiful. In contrast to the terrible quality of my low light pictures, the quality of Pauly Saal’s food is excellent. The preparations are modern, the combinations of flavors and textures are interesting and mostly really delicious and that apricot dessert was spectacular, tart and sweet with a creamy accent. 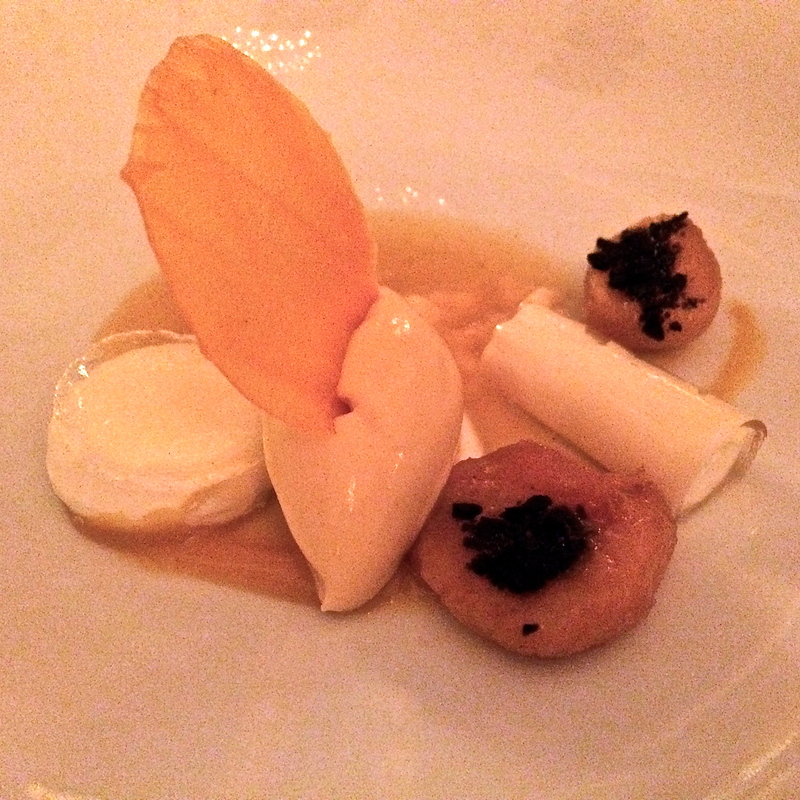 I loved it, which almost never happens with my dessert experiences in restaurants with good savory food. 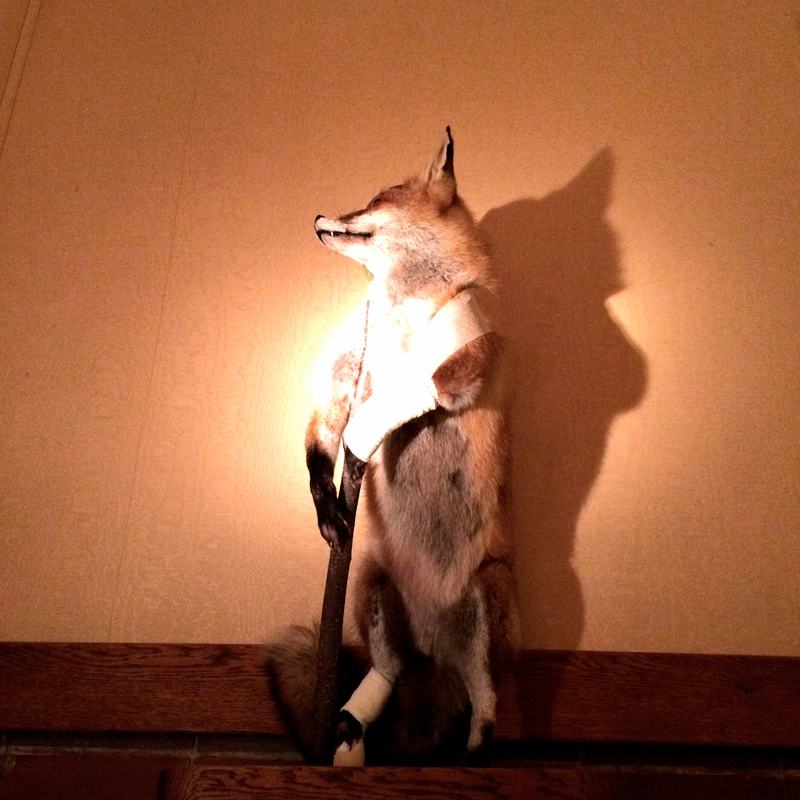 However… the meal was wildly overpriced for the amount of food served. Especially in Berlin where nothing costs this much. I expected to be blown away and instead I got a good meal that should have cost half the price. Also, it took us almost 3 hours to be served 4 courses and that is ridiculous. 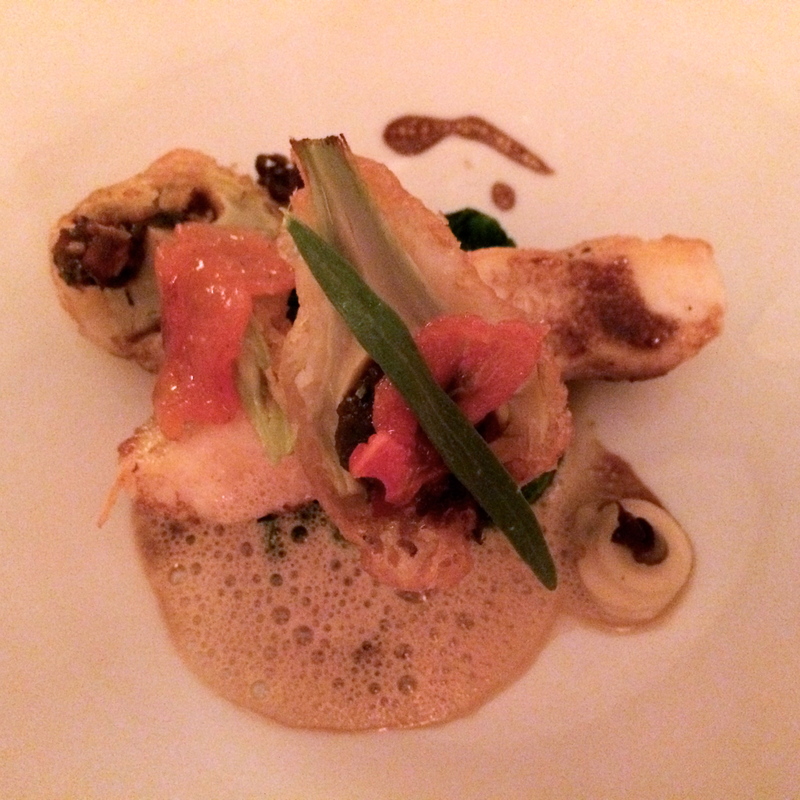 Every review I’ve seen of Pauly Saal mentions this abysmally slow service and our meal was no exception. I’m glad I had such good dinner company because it mitigated the wait but still… 3 hours is twice as long as that meal should have taken to serve and eat. So, here’s the thing: I had a great evening. The company was splendid and the food was good. 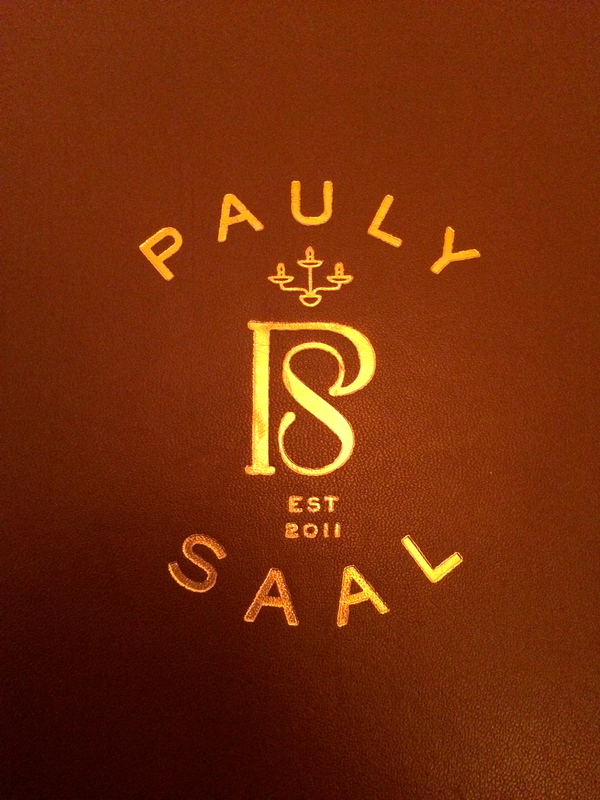 But I found Pauly Saal over priced and disappointing and I wouldn’t recommend it or go back. Strange how two things can coexist in the same evening but there you have it. I’m headed to Prague tomorrow so more later from that part of the world. Have a good weekend everyone! 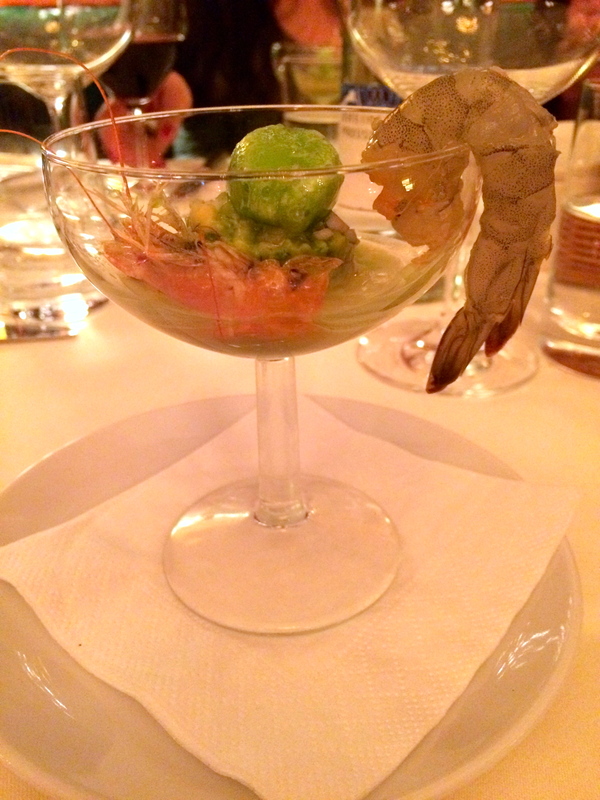 This entry was posted in Berlin, Fine Dining, Germany and tagged berlin, Fine dining, germany, great company and good food, Michelin stars, Pauly Saal. Bookmark the permalink. Even odder than a bomb in a former Jewish school is raw shellfish and PORK!!! !